The Varsity Shield launched in 2017, is in its ninth season and is played between 18 February and 11 April and features seven teams. 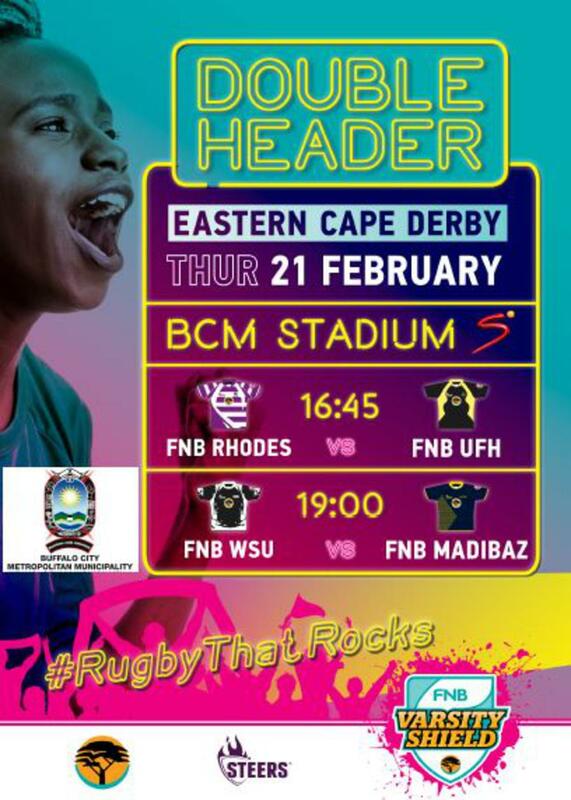 FNB Rhodes vs FNB University of Fort Hare at 4.45pm and FNB Walter Sisulu University vs FNB Madibaz at 7pm. The teams will play each other home or away during the pool stage and receive four points for a win and two points for a draw. Teams get bonus points when they score four or more tries in a game as well as when a team that lose a match by seven points or less. He also urged residents of the Metro and rugby lovers to come and support the universities rugby teams.